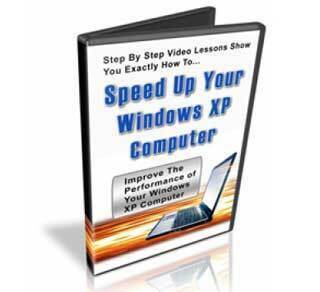 If your still rocking the classic stable windows xp then this 3 part speed up your windows xp computer video tutorials may be just what your lacking. The secret is out of the bag! Learn how to tune up your Windows XP Computer and make it run like brand new (or better). This three part video series shows you how to do this using all free software plus some secret techniques.. Even though we’ve had Windows Vista, Windows 8 and now Windows 10, there are hundreds of thousands of computers out there that are still using Windows XP. There are a variety of reasons for this such as that Windows XP was a tested and true platform and most of the problems had been worked out. Another good thing about Windows XP is that it is not near as much of a memory hog as Windows Vista – so you don’t need such a powerful machine to get good performance from Windows XP. But the problem is that over time a computer will slow down. If you are not doing regular maintenance the performance can get so bad that it becomes a lesson in frustration even trying to get the thing to boot up – and then once it boots it performs so slowly that you would soon be out looking for a new computer. One solution to this problem is to throw some money at it and upgrade the memory and hard disk drive. However if your computer is more than one year old it isn’t worth spending that kind of money on it – plus the underlying problem still remains. In this three part video series I will show you exactly how I sped my laptop up. This is a five year old laptop with minimal memory and disk space (by today’s standards). Before I used these techniques the computer took a full five minutes to boot, and once it did it was nearly useless. It would take a full minute for the browser to load and any other program ran like a pile of junk. I found some free programs and ran these programs. That sped it up immensely – but it was still not good enough. I started tweaking some of the Windows settings and now this computer runs excellent! In fact it is now back on my desk and I use it daily. The Exact Tweaks to use to make XP run better than ever before. Stop suffering needlessly with a dead slow computer. These videos will show you how to speed it up.